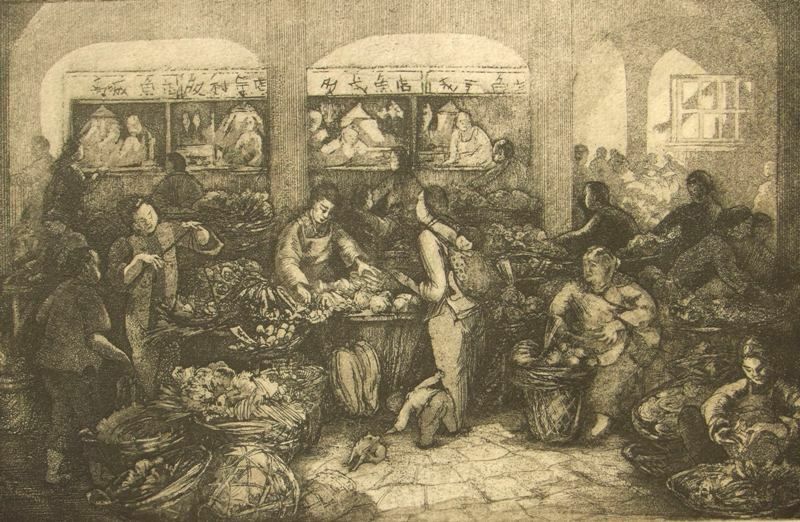 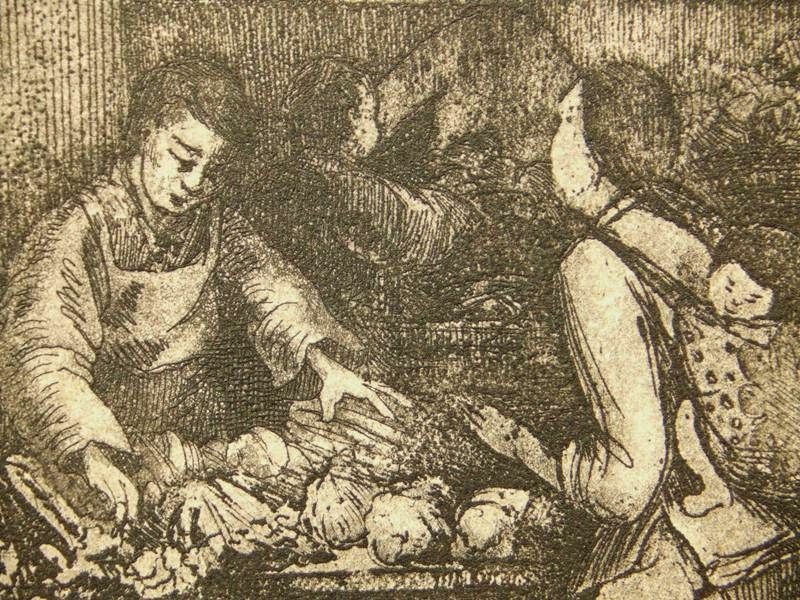 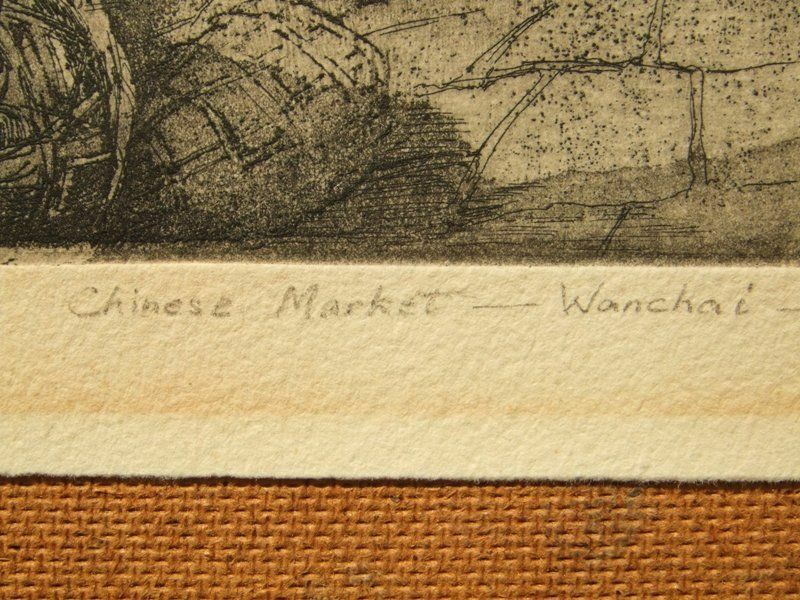 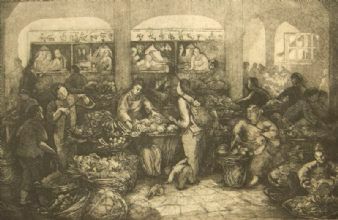 Claremont Chinese Market Wanchai proof etching 1982. 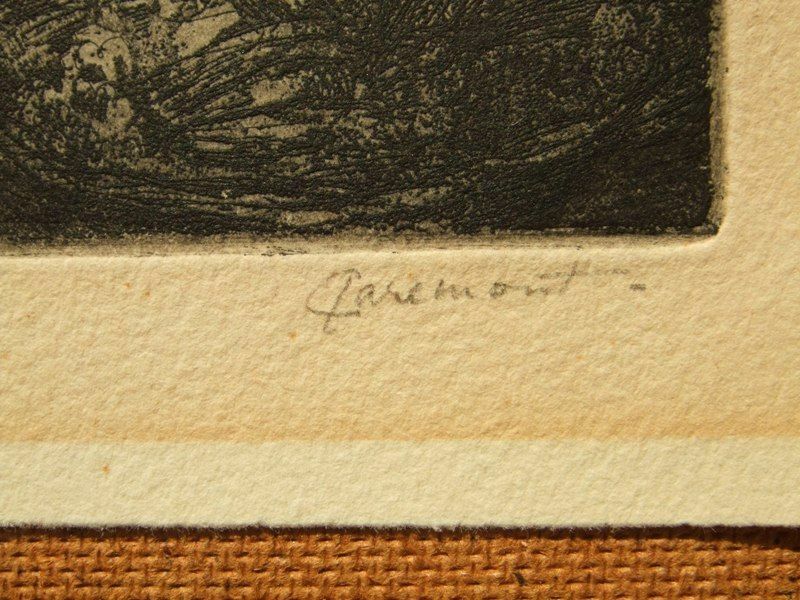 Signed and titled in pencil by the artist with the annoation; Artists Proof in the lower margin. 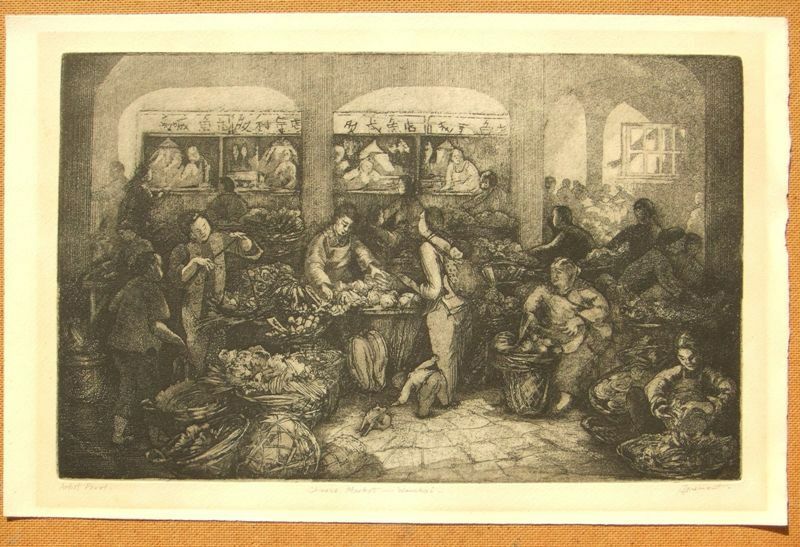 Unmounted and unframed, blank on the reverse, the condition of the image and sheet is good with a toning to a previous mat window and handling marks condusive with age.